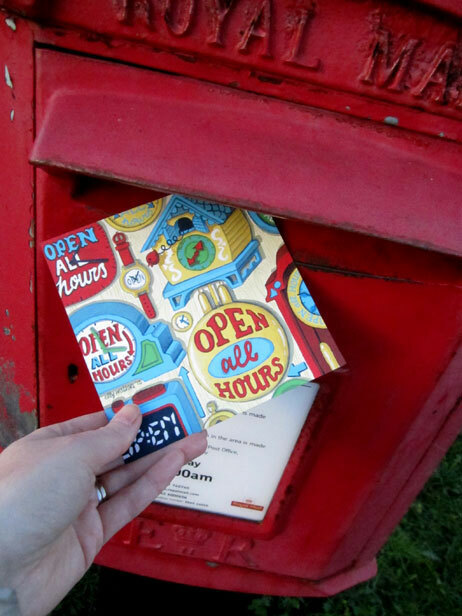 I had loads of fun producing this hand painted postcard for the Little Chimp Society’s (LCS) “Mail Me Art” project 2015, titled “Open All Hours”. 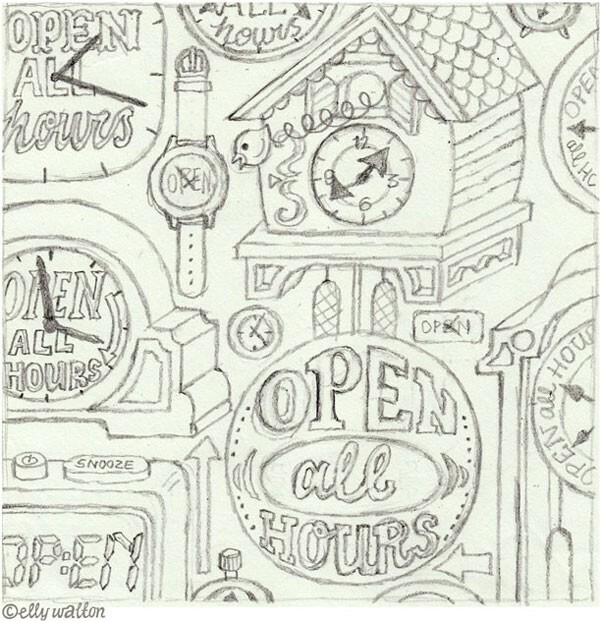 I was inspired by the theme to paint this piece featuring loads of different little clocks and hand lettering. It’s been a while since the paints came out, thanks LCS for the fun project! 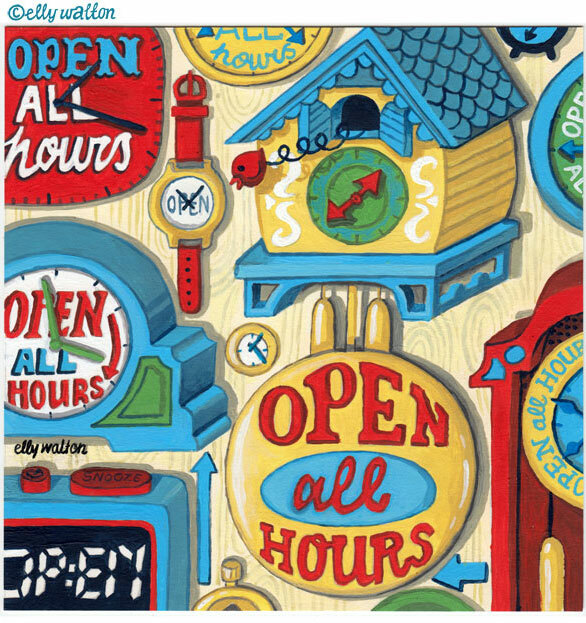 To see more hand lettering take a peek at my site or HAI folio.